Left: Glen Varnadoe examines artifacts removed from his uncle Thomas Varnadoe's grave at the Arthur Dozier School for Boys. Varnadoe died at the school in 1934 and was buried in an unmarked grave. 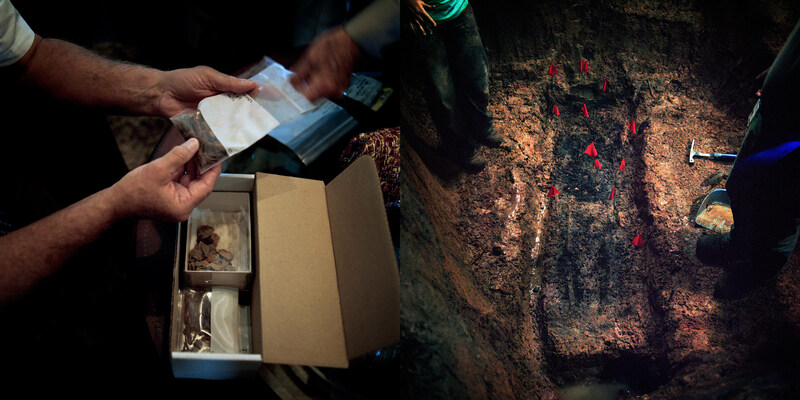 Right: Forensic anthropologists exhume a grave in the Boot Hill Cemetery at the Arthur G. Dozier School for Boys.